There’s no denying that finding a home in South Carolina can often be a difficult task. If you’re looking for a conventional mortgage, you have to start saving up for the down payment well in advance. You have to spend a lot of time shopping around for lenders who are willing to work with your credit and your income – and since credit is the first thing a mortgage broker looks at, having bad credit can turn your dreams of home ownership into a nightmare of endless rejections. And that’s to say nothing of the effort it takes to actually find an eligible property in a good location! These stresses only get more, well, stressful when you’re a single mother. Balancing work with taking care of your child/children is difficult enough without also having to deal with finding a place to live. But there is good news, which is that we at Home Loans For All are here to help. 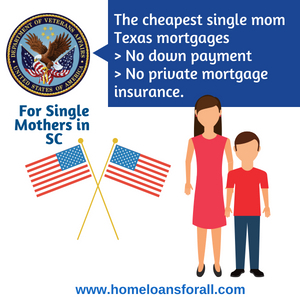 Get Help Pre Qualifying for an SC Home Loan For Single Moms – Click Here! 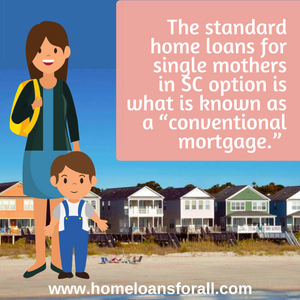 We have compiled this list of some of the best SC home loans for single moms – loans that you should be able to find at most lenders in the state, and loans which have easy eligibility requirements. We’ve also talked about the SC single mother home assistance offered by the state of South Carolina and by the federal government. Even the most strapped-for-cash mom deserves to find a great home! The problem with conventional mortgages is that they’re usually designed with an upper-middle-class buyer in mind. They require you to pay 20 percent of the value of the home as an up-front down payment and to have a minimum credit score between 660 and 700 in almost all cases. The income requirements are also higher than many South Carolina single moms can afford. 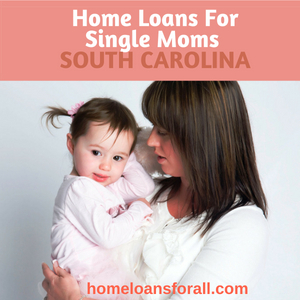 FHA loans are one of the best SC home loans for single moms available. Most loans make you pick between low credit requirements and low down payments. With an FHA loan, as long as you have a credit score of 580 or higher you only have to make a 3.5 percent down payment up front. And if you have a credit score of 500 to 579, you’ll only have to pay a 10 percent down payment at most, which is still half of what you have to pay on a conventional mortgage. The reason FHA loans can get away with having low credit requirements, low income requirements, and a low down payment is because the federal government guarantees a portion of the loans, agreeing to pay back the lender if you default on your mortgage. 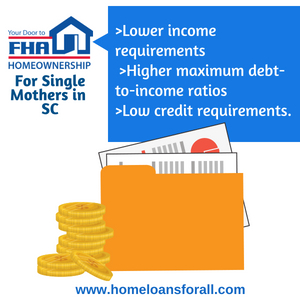 FHA loans are among the most accessible and most affordable home loans for single mothers in South Carolina, so consider applying for one today! USDA loans are loans paid out by the Department of Agriculture in order to encourage people to move to rural areas. These loans are great for South Carolina single mothers, because over 97% of land in the state is considered “rural enough” to apply for these loans! USDA loans have higher requirements in terms of income and credit than FHA loans do, although those can be manually underwritten by the lender if you have proof of sufficient financial need. However, USDA loans do have two advantages over FHA mortgages if you’re looking for South Carolina home loans for single moms. The first is that they usually have a longer payback period (38 years as opposed to 30 years.) The second is that they do not require you to pay private mortgage insurance, which FHA loans require for the duration of the loan period. 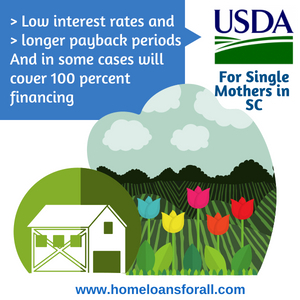 In short, USDA loans will have lower individual monthly payments, even though they won’t be as accessible to South Carolina single mothers as the FHA mortgage is. VA loans are insured by the Department of Veterans’ Affairs, which means that they are only available to single mothers in South Carolina who are also ex-service members. However, these are the very best no money down home loans in South Carolina for single mothers who meet the eligibility requirements. With low income requirements, low interest rates, no private mortgage insurance, and credit requirements at least as low as the FHA mortgage in most areas, VA loans combine (most of) the best parts of USDA loans with the best parts of FHA loans to create perhaps the single most affordable widely-available SC home loans for single moms. Different people have different needs when they’re looking for a home loan, and that’s just as true for South Carolina single mothers as it is for anyone else. Fortunately, there’s lots of SC single mother home assistance available if you know where to look. If you need advice, a HUD-approved housing counseling agency is a good place to start. 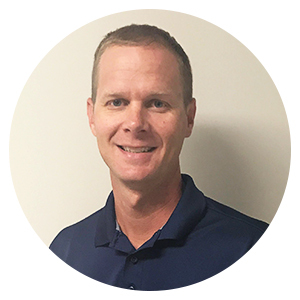 They can answer any questions you have about the home buying process or about your situation in particular. The South Carolina Housing Agency, or SCHA, also holds regular seminars and public Q&As that are good places to learn more about the specific challenges faced by a home buyer in South Carolina. If you need help with the initial payment, you should seek out down payment SC single mother home assistance. The main down payment assistance program offered in South Carolina is the SC Housing Homebuyer Program. If you are accepted by this program, you will receive a 30-year bad credit home loan with low, fixed interest rates and the SCHA will pay up to $6,000 of the down payment and closing costs on your house via a second deferred loan that you don’t have to pay back until the house has been completely paid off. Many South Carolina single mothers have difficulty saving up for the initial down payment, so this program can be very useful! If you need help finding a home loan with bad credit, you might consider finding someone to co-sign the loan with you. A co-signer is someone with a higher credit score – usually a trusted family member or close friend – who agrees to tie their credit score directly to your property. They let you apply for the loan as though you had the same credit they did, giving you better terms on your mortgage and a better chance of getting accepted in the first place. However, the co-signer will take the fall if you fail to make your mortgage payments, so make sure all parties involved understand what they’re getting into. If you need help affording the loan after you’ve already been accepted, the homestead tax credit is a useful resource for anyone who’s living in a home that they’re still paying off. This exemption limits the amount that a property you are currently paying off can be taxed during increases each year, saving you thousands of dollars each tax season.In South Carolina, the Homestead Exemption is a complete exemption of taxes on the first $50,000 of the mortgage. 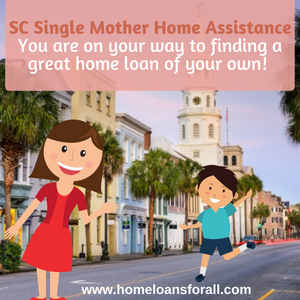 We hope that you have learned a bit about finding SC home loans for single moms and that you are on your way to finding a great home loan of your own! Remember that no matter how stressful the process becomes, everyone deserves to live safely and securely in a beautiful house of their own. YOU are no exception to that rule!